This pool in the canyon of the Colorado River is ideal for the most the most experienced swimmers. Alongside the La Pipa plunge pool, Mr. Carmelo tells me that residents gave it the name 30 years ago because they would come here to collect water in a wood container that oxherds called a “pipa.” Mr. Carmelo’s, whose real name is José Carmen Chavarría, is famous around this town because he was a local government representative and, at 80 years old, still plays the marimba. Curubandé is a district about 9.3 miles from Liberia where the Blanco and the Colorado rivers cross through, forming canyons and beautiful scenery. 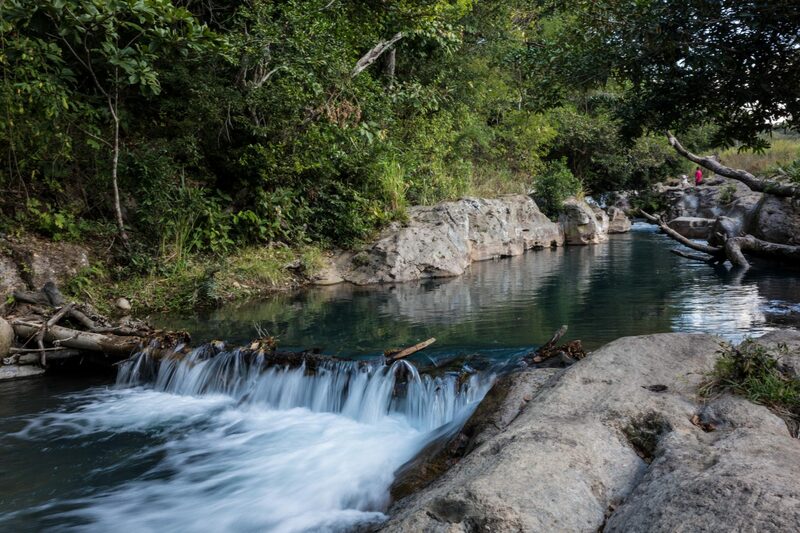 Both rivers originate in the slopes of the Rincón de la Vieja volcano, which is why the water in their pools have that special turquoise tint. 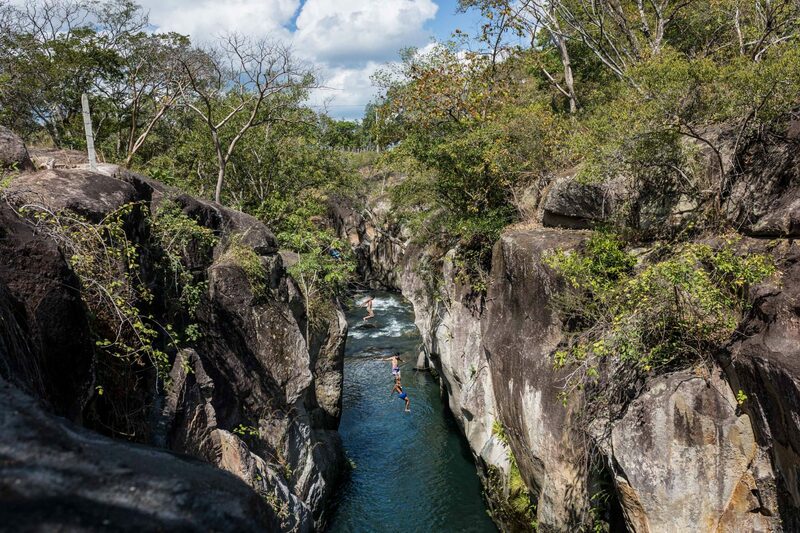 It’s best to visit La Pipa (the biggest plunge pool in Curubandé) in a vehicle with four-wheel drive, or park the car downtown and hike about 0.6 miles. Don’t worry about bringing anything but yourself, because entrance to the plunge pool is free. The water feels cold at first, but the body adapts to the temperature after a few minutes of swimming. The currents and swimmers have formed pools and small dams with rocks where visitors can enjoy different depths of water. 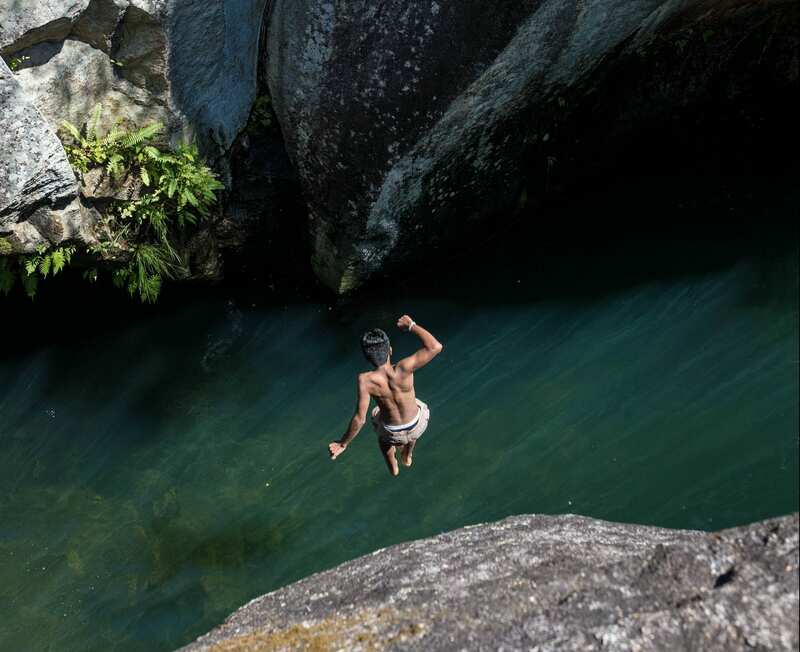 The pool’s main attraction is the rock slide that the currents have formed over years and years, says local guide Freddy Pérez (who you can contact at his cellphone 8707-0709). Pérez is certified by the National Learning Institute (INA) and he says that taking a dip here is safe and the pools are no deeper than two meters (six-and-a-half feet). It’s an ideal spot for spending a relaxing weekend with the family and grilling out along the edge of the river. For the most adventurous visitors, Curubandé has options like the Colorado River canyon pool, located a mile from the entrance on Route 1 Interamerican North towards Curubandé. Although you can get there by walking from La Pipa, it’s better to travel by car, because it will take you 3.7 miles to go from one point to the other. This pool can reach up to six meters deep (20 feet) and allows the most daring swimmers to jump off a 10-meter high (33 feet) rock. We recommend parking your vehicle before crossing the Colorado River bridge. The entrance to the pool is on the right-hand side if you are coming from Liberia. How would you like to have a traditional dish at the end of your day and contribute to the local economy? Curubandé offers its own homestyle, small-town Guanacaste flavor. Soda Curubandé offers casados, handmade tortillas, and natural drinks. It’s open every day of the week from 6 a.m. to 8 p.m. and is located 650 feet east of the Curubandé park. If you are in a hurry, you can order by phone at 8588-2335. 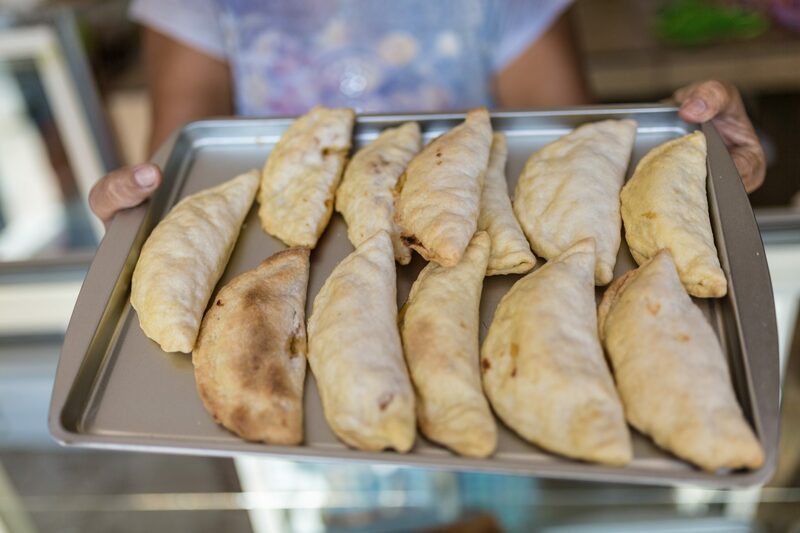 Ventanita Repostera de Ale is ideal for savoring homemade bread, pineapple and cheese empanadas, ham rolls, carrot cake, and tres leches dessert. 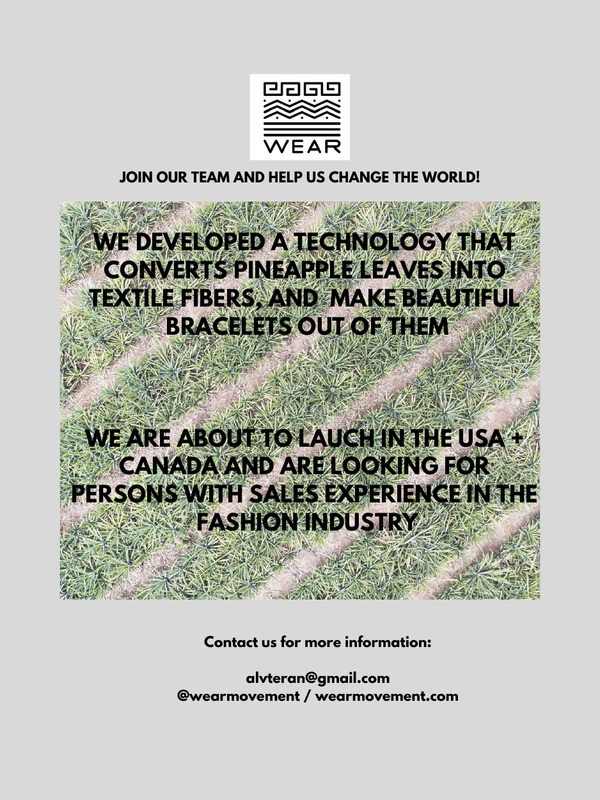 For orders, call owner Alejandra Chavarría at 8329-9747. Ventanita Repostera de Ale is ideal for savoring homemade bread.